In the movie “The Breakfast Club” the high school archetypes were “a brain, a beauty, a jock, a rebel and a recluse,” but in the tiki community it’s more like an artist, a musician, a collector, an imbiber and a mermaid. (And many other niches, too.) In fact, there’s even a yearbook. We’re all honorary students at Poly Hai, an imaginary institution for tiki education complete with its own school crest and alma mater. 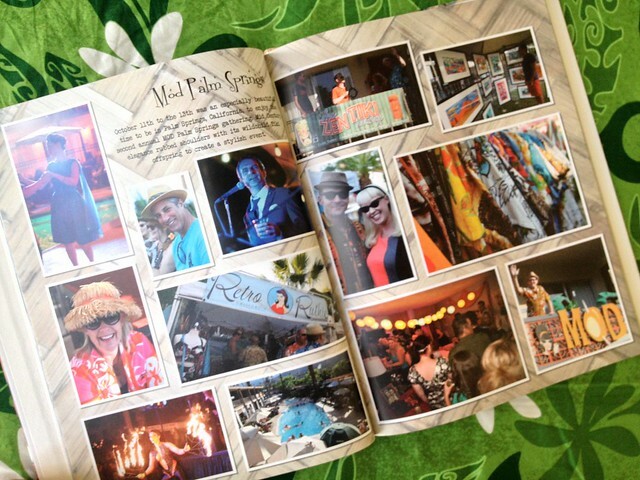 Co-principals Kari Hendler and Matthew Rios published the first edition of the Poly Hai yearbook last year and it’s chock full of photos from tiki events like Tiki Oasis, The Hukilau and Tiki Caliente. 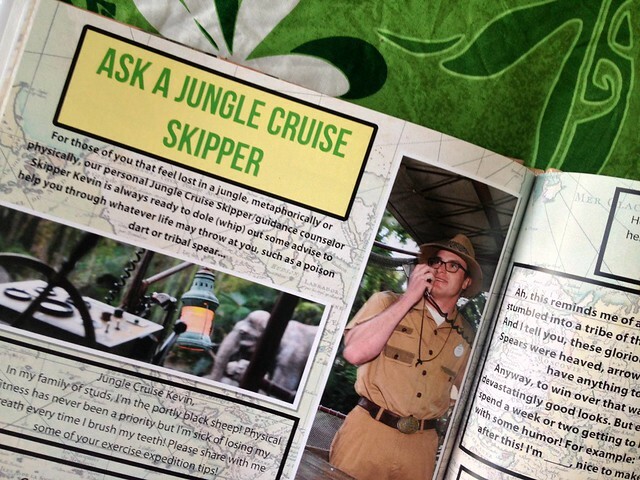 There are also several articles including a behind-the-scenes look at Sven Kirsten’s Tiki Pop museum exhibit in Paris, a little tribute to Bahooka, and “Ask a Jungle Cruise Skipper.” I also love the sections for “Shop Class” (how to build a tiki menorah) and “Chemistry Class” (drink recipes!). And it wouldn’t be a yearbook without class photos, of course. 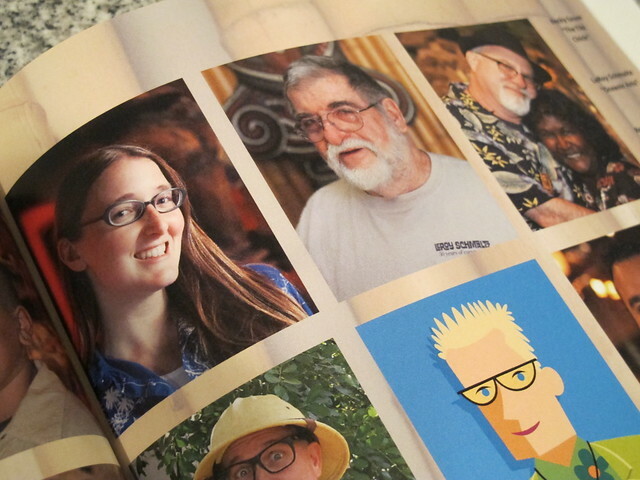 I had the alphabetical good fortune to be next to Leroy Schmaltz, the legendary carver and co-founder of Oceanic Arts. (Fun fact: One of his carvings is on the cover of the yearbook). 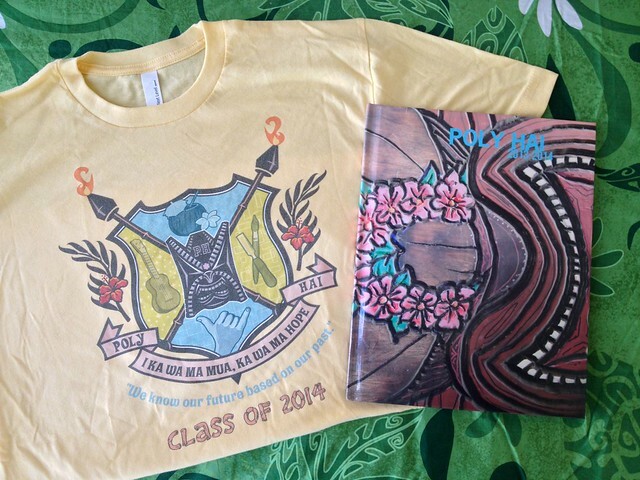 The next edition of Poly Hai’s yearbook will be released in August, but there are still some copies available for $40 plus shipping. (E-mail polyhaischool@outlook.com for details.) Poly Hai will also have a booth at the upcoming International Tiki Market Place on January 24th at Don the Beachcomber. You can also keep up with all the campus goings-on at the Poly Hai Facebook page. I hear there are some extracurricular activities in the works.